I cannot believe Christmas is just 2 weeks away! Did you get all your gift shopping done? 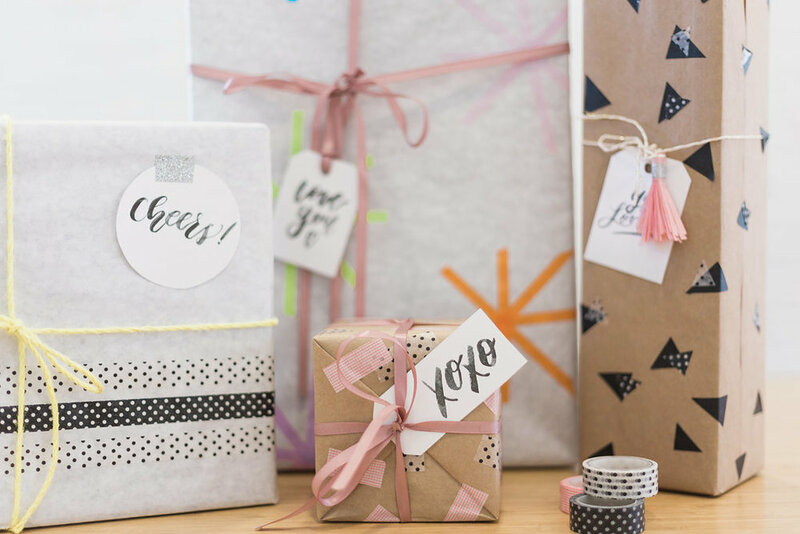 If you'd like to learn some of my quick and easy gift wrapping ideas, check out our super easy DIY post HERE! I also did another post where I show you how to make super cute washi tape tassel you can add to your gifts, tree, garland, whatever! I hope you enjoy the gift tags! I have one more holiday DIY project that I'll be posting real soon so stay tuned!